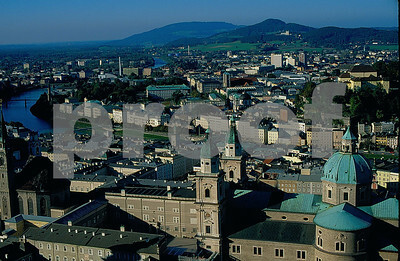 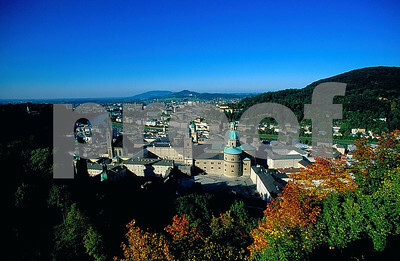 Salzburg, Austria as seen from the old ruins on the hill. 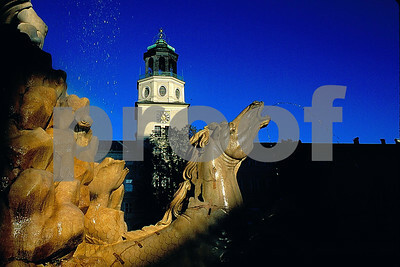 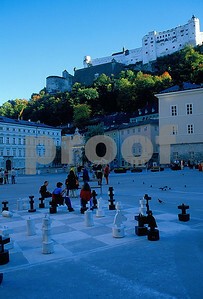 Chess players in Salzburg, Austria with the old ruins on the hill above. 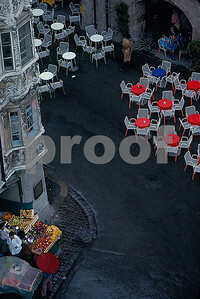 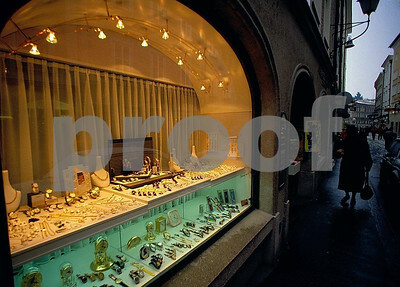 An outdoor cafe in Innsbruck, Austria as view2ed from the City Tower. 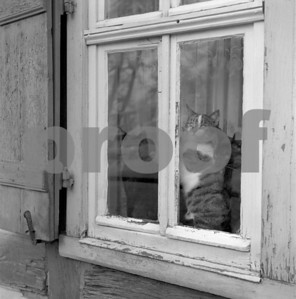 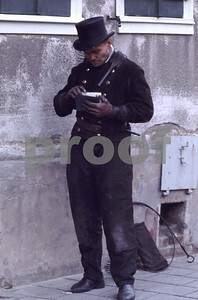 A chimney sweep in Frankfurt, Germany, October 1970. 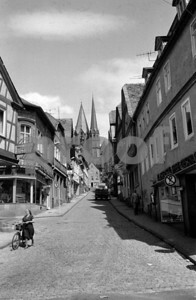 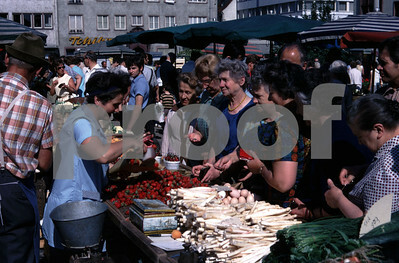 Woman pushing bicycle in city center Gelnhausen, Germany. 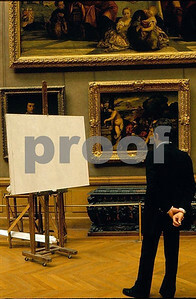 Louvre in Paris, man studying a blank canvas. 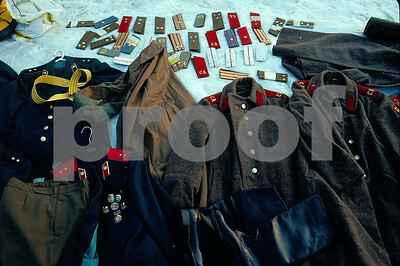 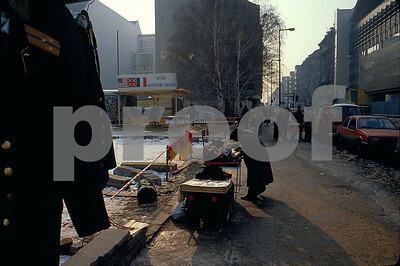 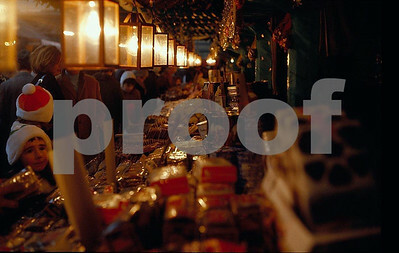 Soviet Union and East Germany military clothing and equipment for sale and spread on blankets in the snow by the Brandenburg Gate in Berlin, Germany after the wall came down. 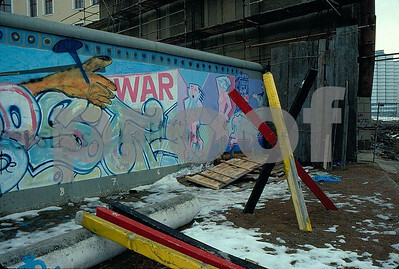 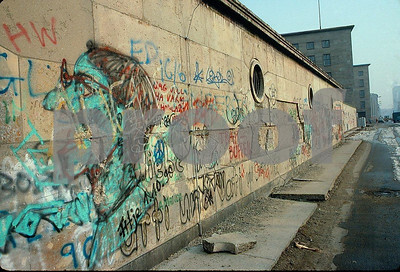 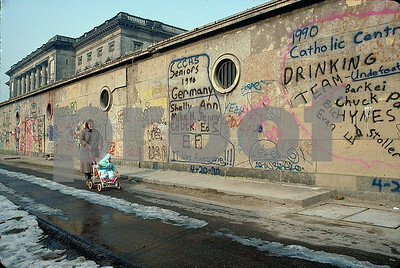 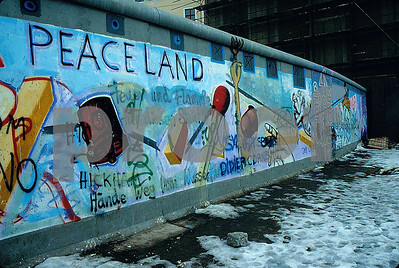 The Berlin Wall in Feb. 1991. 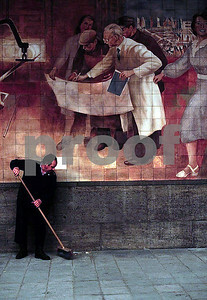 Man sweeping sidewalk by the city building where work permits are issued, Berlin, Germany. 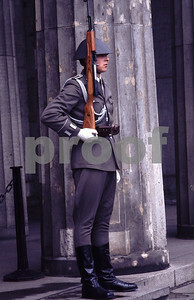 Guard at the entrance to the Tomb of the Unknown Soldier in former East Berlin, Germany. 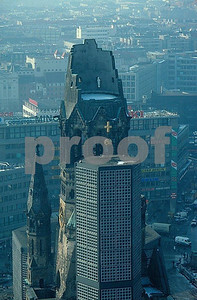 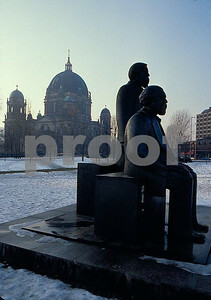 The Marx/Engle statue in former East Berlin, Germany. 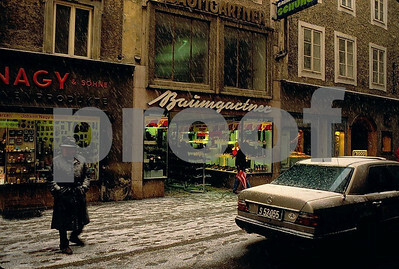 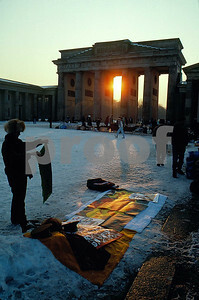 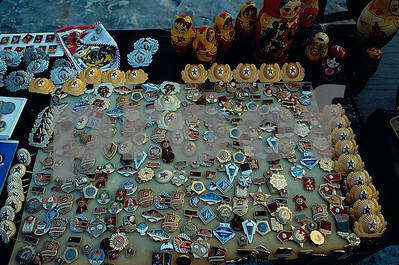 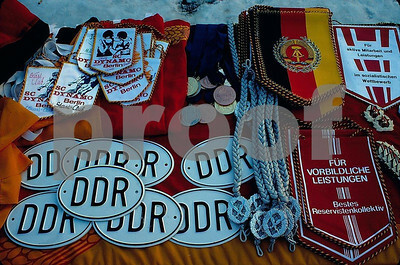 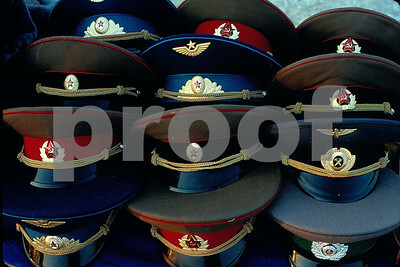 Soviet Union and East German military hats for sale spread on a blanket in the snow by the Brandenburg Gate in West Berlin after the wall came down. 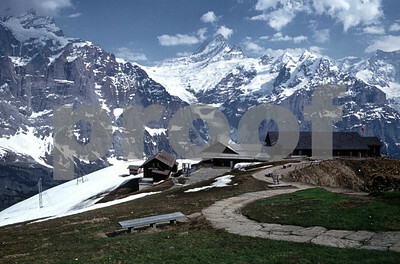 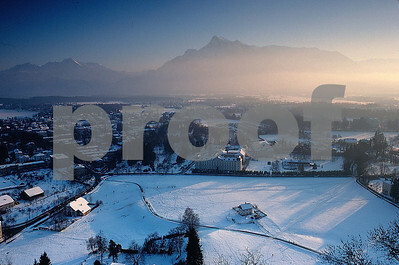 The Swiss Alps viewed from First in Grindlewald, Switzerland. 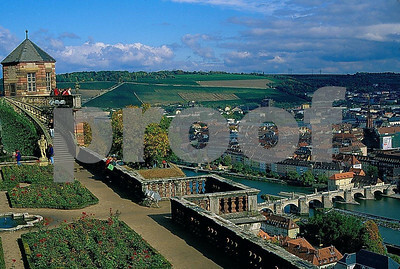 The view of the Main River from the Wurzburg Castle in Wurzburg, Germany. 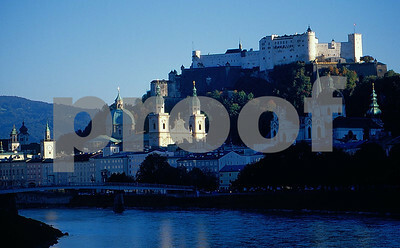 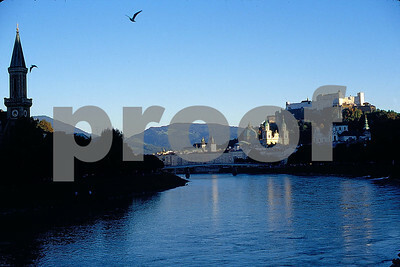 The Wurzburg Castle and Main River in Wurzburg, Germany. 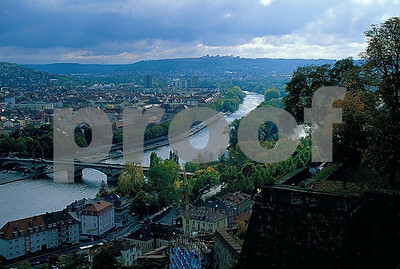 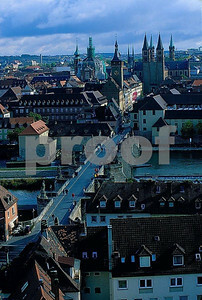 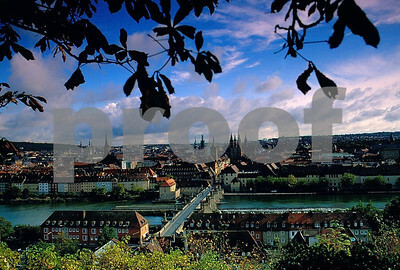 The view from the Wurzburg Castle looking over the Main River to Wurzburg city center, Germany. 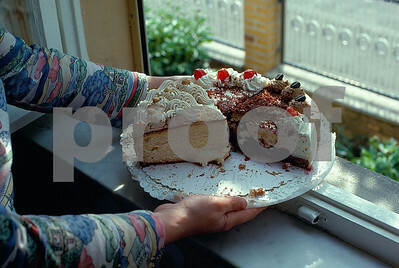 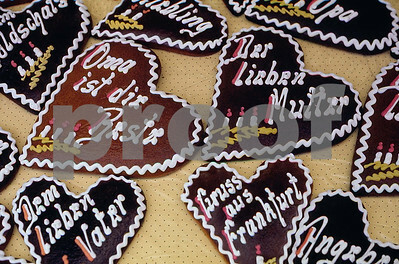 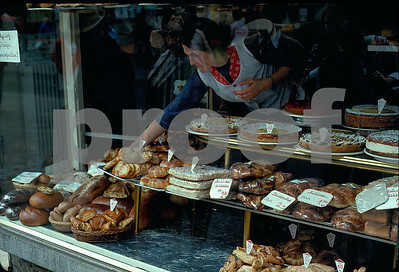 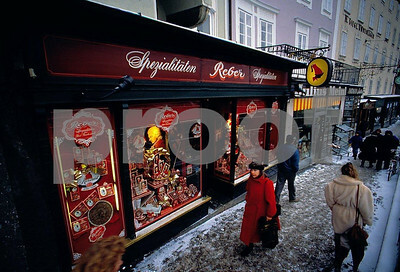 Pastries for sale in a bakery, Berlin, Germany.